When it comes to curb appeal, first impressions are everything. This is especially true when selling your home. Did you know it takes the average homebuyer just 30 seconds to form an opinion about a home? For this reason, curb appeal plays a major role in the real estate market. What kind of first impression is your home giving potential homebuyers? Power Wash your siding to help it shine like new. Another simple way to improve curb appeal is through Landscaping. Trees, shrubs, flowers, and the like can help give your home a much brighter look and feel. Paint your front door, porch, shutters, and any other part of your home that seems to have lost its former luster. Are your windows old and cracked? Replacement Windows can help give your home a facelift. Consider installing a New Fence. A new fence will help set your home apart from the crowd. 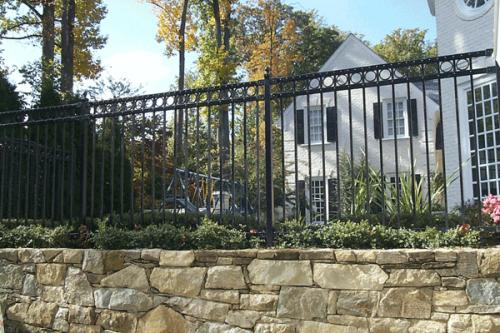 Hercules Fence has been providing professional fence services and installation throughout Northern Virginia since 1955 and can handle all of your residential fencing needs, from Custom Wood Fences to Ornamental Steel Fences to Ornamental Aluminum Fences to PVC Vinyl Fences and more. Our residential fences are not only extremely durable, but also aesthetically appealing. If you have any questions about Fences, Curb Appeal, and First Impressions, please contact Hercules Fence by calling (757) 316-3600 or visit FencesNewportNews.com today! Hercules Fence has been providing professional fence services and installation throughout Northern Virginia since 1955. This entry was posted on Wednesday, November 13th, 2013 at 6:47 pm. Both comments and pings are currently closed.